Maximize the storage capacity of your EMC VNX series SAN. The EMC VX-VS07-030 is a 3TB NL-SAS 7,200 RPM hard drive. All EMC hard drives sold by SPS Pros are previously used, fully tested, and backed by a 60 day warranty against defects. Same day, expedited, and international shipping available! The VX-VS07-030 is also known as part numbers 005049278, 005049453, 005049943 and more listed below. 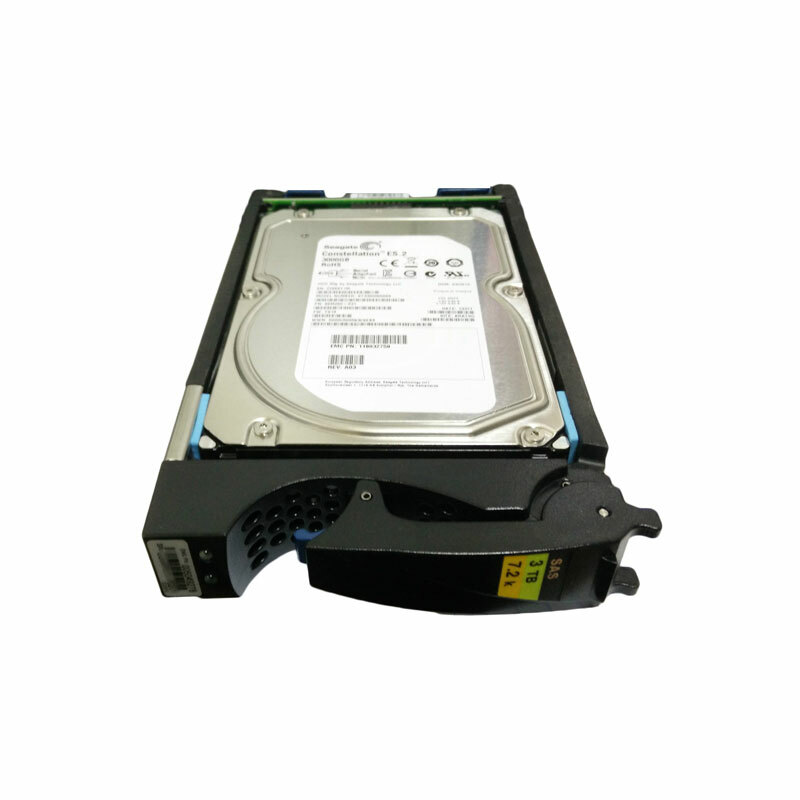 EMC NL-SAS HDD with part numbers VX-VS07-030, 005049278, 005049453, 005049943 is best suited for higher-capacity environments to help realize cost and capacity benefits. Sequential access applications have a tendency to maximize any caching advantages of the storage system, and take advantage of the higher density NL-SAS hard disk drives. In these applications, the speed at which the drive can transfer data from the platter has the greatest effect on overall performance. Thus, medium-to-large block and sequential I/O applications can reap the greatest benefits from the drive’s higher area-bit densities. Disk backup using traditional backup software. EMC arrays are tested and supported with most major backup applications. Improves backup and restore performance when compared to tape. Some applications, like seismic data interpretation, government intelligence, and life sciences research are immediately written out to tape due to their large size. When the tests need to be rerun, the data must be reloaded from tape, and then rerun. Now the information can stay online with EMC NL-SAS drives and businesses can improve their operational efficiency and time to market.